Hi! Willing to monitor, evaluate and maximize the social value added by your interventions? Mariana Branco is an economist and independent evaluator with more than 5 years of experience measuring the economic returns of social investments. She worked, studied and volunteered in a wide range of countries; is a board member of the European Evaluation Society; coordinated a branch of the Portuguese Mission for the Refugees and is currently a consultant at the World Bank Independent Evaluation Group, in Washington DC. Politics and the socio-economics have been my passion since my early adolescence. Even then I understood that poverty was not an unchangeable truth, but a diagnosis of a problem that had a solution. Therefore I made a commitment to spend my life exploring possible solutions for it. I wanted to put my skills to the service of global well being and to fulfill this dream I looked for a Bachelor Degree where I might understand what rules our system and where I could improve my mathematical skills and develop statistical foundations. That was when I applied for Economics. To complement my formal analytic education I sought extracurricular activities: participated in one year training on “Gender Equality and Girls Political and Civic Empowerment”; campaigned for the legalization of abortion in Portugal; was a fair-trade volunteer and provided tutoring sessions to low resource students. Despite these activities, I still felt the eagerness to feed my passion for international policy. Therefore, I joined the Portuguese Agency for the Promotion of the Millennium Development Goals (MDG’s) and organized a series of round tables at the faculty to debate alternative thinking in economics. Under the Erasmus Program I went to Turkey motivated by extreme curiosity for the Middle East, religious confrontations and the EU enlargement. Afterwards, I enrolled for 6 months European Voluntary Service (EVS) in Kenya, a major paradigm shifting experience. Being the “Mzungo” (European/White) in Nairobi slums can be a humbling experience, no matter how logical are the strategies devised in Brussels. Back in Portugal, the Master Course in “History, International Relations and Cooperation” fulfilled my heart‘s desire. I become research associate at University of Porto and developed a thesis on the impact of “User Fees for Maternal Health Care in Low Resource Settings”. While studying, I conducted surveys and provided consultancies in social impact evaluation. Yet, I never thought these would be the main themes of my current work. I started working at 4Change, a Portuguese consultancy company, in 2012 and since then I have been doing Monitoring & Evaluation. Particularly, Social Impact Analysis. My main expertise is a Social Impact and Cost-Benefit analysis called Social Return On Investment (SROI). I had the pleasure to develop the first published SROI analysis in Portugal and to manage the first SROI mentoring program. Since then I did multiple SROI analysis. I managed the Social Impact Program until its third edition. I have also produced multiple SROI manuals, training guidelines and articles. Examples are the Activity Based SROI model (abSROI) and an experimental paper on the use of Non-market Valuation in Social Impact Bonds and Social Finance. Both presented at the European Society (EES) biennial conferences, 2014 and 2016, respectively. In July 2015 I became an Independent Consultant and decided to study again, investing in my statistic and econometric skills. I did a Post-grad at the University of United Nations-Merit on "Evidence Based Policy Research Methods". In addition, during 2015 and 2016 I supported the design of a M&E system for the Portuguese Policy on Employment and Social Inclusion, under the Portugal2020 agenda. Since 2016 I have been developing SROI analysis in Brasil. At the same time I work for BHP - Brugger and Partners Lda. Toghether we conducted an SROI mentoring program for projects financed by the Angolan Sovereign Wealth Fund. 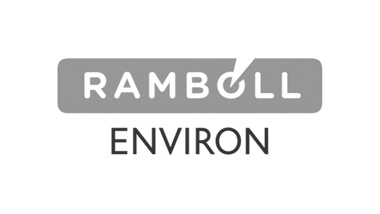 We have also been assessing the sustainability reporting of portfolio companies such as Unilever, Danone and Essilor, according to a methodology developed by BHP. In 2016/2017, I coordinated the Portuguese Agency For the Refugees (RSP) in Lesbos, Greece. Alongside, I did trainings on evaluation of humanitarian aid, peace fragile and complex settings. I also started Arabic classes. All these experience served to straighten my heart's desire, which to build a career devoted to the measurement and improvement of humanitarian, peace building and disaster relief actions. 2018 was marked by a new role as a consultant at the Independent Evaluation Group of The World Bank. I am now supporting the strategic development of The World Bank Centers for Learning on Evaluation and Results (https://www.theclearinitiative.org). Working for the WB represents a fortunate learning opportunity and an important transition from being a solo player to becoming part of an multilateral agency. Explore my professional and volunteering history. Get to know the institutions I worked at and the roles and responsibilities I have been assigned. Discover how I connect with peers, advocating for more social value accountability and promoting capacity building in evaluation. Usually I work for consultancy firms, as an independent service provider. Get to know the ones I recommend the most. Meet the foundations, NGO's, companies, public and public-private bodies for whom I have been developing MEL systems, assessments and training. See where I spend time studying and gained early knowledge to prepare my professional life. Branco M. Non-market valuation on Social Impact Bonds Contracting. Monitor and evaluate the impact and performance of peace-building and disaster relief operations in fragile states. Help bridging the gap between social impact investing and the lack of funding in the humanitarian sector, through social value accounting. Actively support evidence based peace-building policy and decision making. • Providing advisory services on the regional expansion and business development of the World Bank Centers for Learning on Evaluation and Results (CLEAR Initiative). • Applying design thinking to develop economic models, tools and guidelines. • Providing recomendations on how to build strategic evaluation partnerships, standardize processes and scale evaluation products and services. • Evaluating the social return on investment (SROI) of a community-managed desalination system that provides (1) access to potable water and (2) a fish-farming effluent treatment station to two northeastern villages of Brazil that were affected by a 5 years drought. • This social project was designed by the Brazilian Government, promoted by Voltália (a producer of renewable energy) and financed by the BNDES (Brazilian Bank of Social and Economic Development), who defines a 5% social credit of the total approved investment. • ROI drive to involve stakeholders produced a wide and management-led list of recommendations that is enabling the company to redesign the intervention from a community based perspective. • SROI incorporates mixed-methods which, in turn, help adjusting the evaluation to real life contexts. • The evaluation is enabling the company to differentiate the outcomes for the community from the outcomes for the firm itself, promoting discussions on transparency and impact and value maximization. • Assessing the sustainability reporting of portfolio companies, with turnovers up to 50 billion €/year. • This Assessment is the stage prior to the engagement with companies, which seeks to foster further implementation of the UN Global Compact, Global Reporting Initiative (GRI), UN Guiding Principles on Business and Human Rights and Sustainable Development Goals (SDGs) within their business model. • The assessments are based on a methodology that evaluates corporate sustainability reporting in 5 dimensions: comprehensiveness, quality of information, sustainability of the organization, contribution to peace building and social impact model. • This work has been showing me how crucial it is to work with firms in social value maximization. Companies have a growing role in promoting human rights, respect for labour norms and environmental protection. • Developed an SROI analysis of the program “Healthy Nutrition” for the Brazilian Industrial Social Service (SESI), coordinating a team of of 4 people. • This was a pilot analysis that allowed me to travel to the interior of brazil and contact with the problematic of malnutrition of low income workers. • In this analysis we have used a sophisticated mix methods approach, combining qualitative methods and a high level of stakeholders engagement with randomized controlled trials (RCT). • Coordinate the Mission's activities in two sites: Kara Tepe Camp (1000 people) and Cáritas Hotel (200 people). • Conducted a qualitative evaluation and a needs assessment. • Developed a sustainability plan which included costs control; marketing plan; strategic partnerships; engagement of the team in networking activities and the adoption of new fundraising methods. As a result, costs decreased by 20%, we inspired fundraising activities in Portugal and ensured the mission’s continuity. - The feature of automatic periodic reports supports a transparent communication of the week results with the stakeholders. This is absolutely crucial for an effective management of the mission, because it saves time to the coordination office, while generating trust relationships with the camps managers and other strategic partners. - Provides a database of past experiences, which helps new volunteers understand the mission. - Defined a planning and evaluation schedule, which helps the team organize its week in a more cyclic way. - Developed procedures and tools for evaluating team and community performance, which allows for open communication and conflict prevention. - Created an online integrated scheduled where all the partner organizations that operate in the camp share information about their activities within the camp site. • Solved unexpected shortage of volunteers: In late December we faced a delay in the selection of volunteers which ended in a shortage of staff and in myself running the mission alone in the field during 10 days. Knowing we must adapt to unexpected constraints I offered my full trust to my superiors that they were doing there best to find another team a.s.p.. In addition, I used this opportunity to straighten our partnerships and we received support from peers in the field to conduct the kids activities, where two people are really needed. • Planned the mission’s future role and focus: one of the major added values of the RSP mission in Lesbos is its focus on serving leadership and community building amongst asylum seekers. Before leaving the mission I have prepared a strategic plan with recommendations on how to straighten this vision. The result was a road map describing how to go from there to vocational training, technical empowerment, social cohesion in the camps and social the integration in receiving countries. 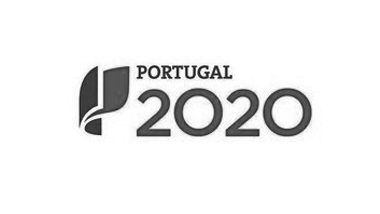 • Contributed to the development a social impact monitoring system to the Portuguese Operational Program for Social Inclusion (PO.ISE) - a crucial financial channel for social policies in Portugal that lies under the umbrella of the Europe 2020 strategy. • The major challenges were to integrate 4 layers of data (European, national, sector and project) and to create evaluation procedures in a context where all the countries are still at a learning curve. - Development of ToR for impact evaluation. • Conduct a 6 months mentoring program on evaluation to the Angolan Sovereign Wealth Fund For Social Affairs Projects. The program used SROI framework and b-learning. • Looked at SROI from a different cultural perspective, which enriched my SROI training skills. • Dealt with the challenges of distance, which demanded for constant adaptations to the e-learning program. • Helped setting new standards for Social Impact accountability in Angola. Conducted 200h of training and 400h of mentoring. • Supervised 30 SROI analyses under the first SROI mentoring program in Portugal/World. • The assessments developed and mentored by me resulted in 550 indicators and 220 Financial proxies, now available at www.samia.pt (a public online data base I helped crea:ng). • Designed 7 workshops: Introduc:on to SROI; Measuring Outcomes; Valuing Outcomes; Theory of Change; M&E; DAC/OECD criteria; Sensi:vity analysis. • Created a 200 pages SROI guide; developed a 2 weeks SROI training for trainers and created guidelines for all the designed workshops, to ensure that my knowledge remained at 4Change. • Developed a series of Webinars, ensuring a cost-efficient soluAon for both trainees and program investors, when no:ced that trainees had difficul:es in maths and spreadsheets. • Developed the abSROI model (activity based SROI), when learned trainees’ difficulties in costing overheads -a model that incorporates analytic accounting into SROI analysis, which was laiter presented at 11th EES Biennial Conference in Dublin. • When asked if LBG (London Benchmark Group) was compatible with SROI, I wrote a paper explaining how to integrate both techniques (to be published). • Created a local campaign - called “InfoPazPorto” - to promote informa:on on interna:onal peace and coopera:on issues through social media (developed the logo and social media communication plan), which increased my skills for engaging stakeholders while crea:ng local awareness. • Participated in mee:ngs and events, gaining knowledge and ability to debate na:onal and interna:onal policy for peace, conflict and global poli:cal interests. • Wrote a master’s thesis on the impact of User Fees for Maternal Health Care in Low Resource Settings, under the project: “Missed Opportunities in Maternal and Infant Health”. • Composed a funding proposal to study the “Demand for Health Care in Portugal”, which amounted to 47.000€. • Produced a literature review on cost-benefit and cost-effectiveness analysis, introducing a new research perspective within the Institute, focused on Evaluation. • Was invited to lecture seminars on the subject of health economics for PhD Medical Students. • Produced literature reviews on Endogenous Knowledge and Social Corporate Responsibility. • Participated in the Organization comity of the conference “Endogenous Knowledge and the Construction of Africa’s Future”. • Worked in the informal settlements of Kibera, Madari and Korogocho; lived with a Kenyan family and provided tutoring sessions to students from low resource households - experiences that allowed me to be comfortable with stakeholders engagement, improving my ability to connect and create alliances in multicultural and challenging environments. • Gave lectures at Kenya Methodist University and provided training to youth groups on macroeconomics, entrepreneurship and domes:c finance, improving my training skills and ability to adapt my communica:on to popula:ons with different backgrounds. • Gained the support of an UN deputy to supervise my EVS research project - an impact assessments on “Property and conflicts in Kibera”. • While learning Kiswahili, created a website with the purpose of teaching Kiswahili to Portuguese speakers and supported young entrepreneurs developing the logo and communica:on strategy of their business. • The different cultural layers challenged me to improve my life competences, increasing my capacity to react when facing risk, autonomy and resilience, and reinforcing my passion for doing research in development economics. • Developed a prospective impact assessment of the projects "Off-grid Rural Electrification in Mozambique” and "Off-grid Rural Electrification in Cape Verde”. • Designed the economic development sec:on of two project proposals. • Maximized the social impact of both investment projects by including my experience. • Participated in multiple consumer surveys which improved my knowledge in data collection techniques such as sample sizing, design incentives and materials for increasing response and its quality. • Participated in multiple political surveys which improved my ability to follow scripts and recording respondents' answers; gained sensitivity to understand different political points of view and different political strategies. • Provided weekly tutoring sessions to students from low resource households in a problema:c neighbour of Porto (Bairro do Lagarteiro), while studying at the University, contribu:ng to promote social inclusion of children and young people from vulnerable socio-economic contexts. • This experience raised my awareness about the living conditions of low income sesngs in my town and their extreme employment and educa:onal needs; improved my understanding of the challenges faced by local politicians regarding social benefits and labor. • Organised innova:ve debates, bringing together teachers and students auer classes in an informal sesng with tea and cakes to discuss themes such us: “Understanding the Worlds Crises in light of Bohm-Bawerk, Marx and Bachelard”, “Charity versus Social Economics” or “Time in Economics”. • Developed my teamwork skills while planning and reaching consensus, as well as teaching me self-management skilss, while combining the actvities organisation with my faculty workload. • Developed a strategic plan for promo:ng the MDG’s (Millennium Development Goals) in Porto and implemented the “MDG festival of Porto”. • Being an MDG agent also taught me about the International Cooperation sector and Aid delivery, while engaging local youth in lobbying ac:vi:es to place MDGs on the Portuguese agenda. • Doing voluntary work in fair trade increased my desire to have more contact with populations and my knowledge regarding alterna:ve and more sustainable consuming habits. • Represented the organisa:on in na:onal and interna:onal seminars (Poland and Cyprus), which ini:ated me in non-formal educa:on methodologies. • The mul:ple exchanges with peers played an important role in increasing my communica:on skills, autonomy, leadership and sense of purpose. EES has 25 years of story promoting theory and practice of evaluation in Europe. I see my role as someone who is trying to bring the organization closer to its members and build a more sustainable model, through strategic thinking and communication. How? As part of EES future role and focus task force I reflected upon EES financial sustainability and personally carried a consultation round, interviewing 50 members about their opinions and ideas for the institution. As a result of this consultation we acknowledged members expectations that were not evident, such as the need for more online presence and a common will to have a more active saying at an European Political Level. As co-leader of the communication department with Laura Taggle, we have devised a new communication strategy, are working to improve EES socials and are producing new communication materials to better meet members needs. The Global value exchange is an open-source database website of ‘Values, Indicators, Outcomes and Stakeholders’ for organisations working to promote social change, developed by Social Value International. Its advisory board is constituted by members of the GIIN, DFID UK, UN’s Social Impact Fund and New Philanthropy Capital. As part of it I have developed a working group on financial proxies. In order to expand this part of the database we retrieve financial proxies from academic papers on economic valuation and are preparing articles to the blog that reflect our discussions. EES TWG on Emerging Evaluators was born in 2014 with the aim to support young and emerging evaluation professionals. EES was a pioneer, developing the first virtual conference for emerging evaluators (in 2015) and a mentoring program. I’m glad Julia Brummer push me into this and I was able to participate in this move from the start. We are know developing new ideas and collaborating with EvalYouth to connect more and more emerging evaluators around the globe. The Impacto Portugal Group contributes to an ecosystem in which investors and organizations share a common vision of the importance of social impact. We promote the dissemination of knowledge on social impact assessment methodologies and tools by surveying good practices and disseminating methodologies in Portugal. We also contribute to a better understanding of the benefits of investing in social impact assessment training through lobbying and advocacy. As part of this group I have participated in the organization of group events; assisted the web design of the group’s website; conducted an organizational assessment, presenting it at EES 12th biennial conference; bridged the group’s communication with Social Value International and produced videos that allow group members to follow international conferences and trends.